A full range of professional title services from one of the fastest growing title insurance agencies in New York. Expert Title Insurance Agency, LLC was conceived to provide the highest quality title insurance service with old fashioned care. In fact, we have some of the most knowledgeable staff in the industry to guide and assist you at a moment’s notice. We are noted for providing exceptional service and timely client support. Expert’s underwriting and management staff is a collection of decades of experience in title insurance, real estate transactions, banking and legal applications. All of our associates take pride in our desire to provide our clients with an unparalleled level of satisfaction. We partner with our clients to create a personal, rewarding and caring relationship while at the same time we keep you informed of changing practices and issues in the industry. 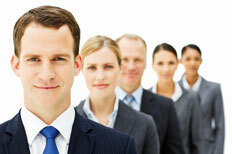 At Expert Title, we invite you to experience the highest unmatched quality of professional support and service. Based on our expertise and experience, we are confident that you will appreciate the Expert difference. By utilizing and maximizing information from diverse sources we are able to protect real property purchasers and lenders from problems that may affect title ownership. We provide title insurance coverage on commercial and residential properties throughout the five boroughs of New York City, Nassau, Suffolk, Westchester, Rockland, Orange, Dutchess, Sullivan, Green, Ulster and Columbia Counties. We also have the ability to provide title coverage for out of state, multi-state and multi-national acquisitions through our network of sister agencies. In addition, we are able to provide worldwide maritime vessel title insurance and aircraft title insurance for the practitioner representing the purchasers of boats and airplanes. 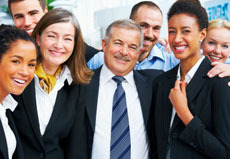 Expert Title Insurance Agency is certified Minority Business Enterprise (MBE). "We have some of the most knowledgeable staff in the industry to guide and assist you at a moment's notice." Over many years of working with Rafael and the people at Expert on everything from straight forward residential deals to multi-million dollar commercial transactions, I must say that the service is unparalleled. I am always made to feel that I am Expert's only client and they exist solely to make me look good. As a result, I am able to do my job and make sure that my clients' interests are protected and their transaction goes smoothly.